Where to begin... The combination of stunning natural beauty, an abundance of activity, and the sheer variety of possibilities. Whether you want to be part of the scene or escape to enjoy peace and isolation, the New York waters are calling. 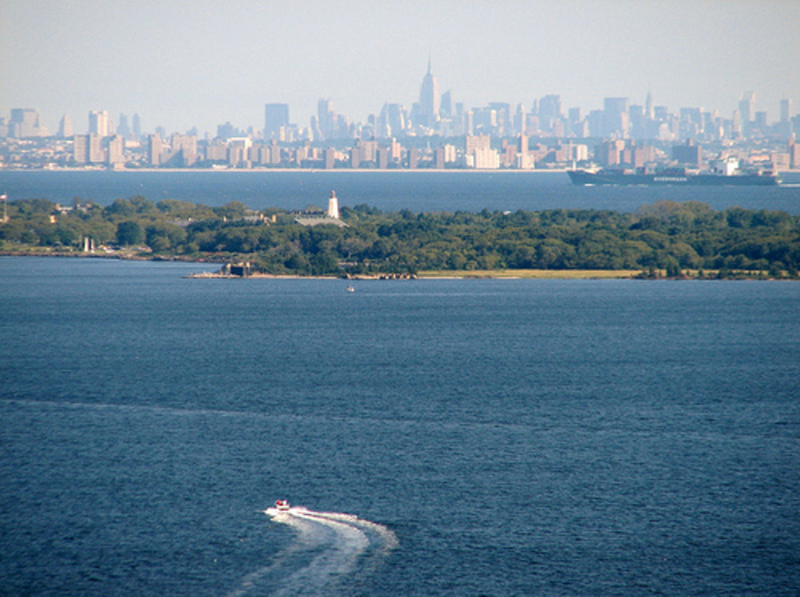 Home to every kind of boating adventure from sailing by the Manhattan skyline, to bass fishing off Long Island, watching fireworks from the Great South Bay, exploring up the Hudson River, raft ups by the beach, you name it, it’s here. An Empire State of Boating. Not only does the town itself have a lot to offer, bars & restaurants, entertainment, marinas, exploring the Nautical Mile, but the waters South of L.I. in Middle Bay and East Bay ripe for exploration. The inlets and islands are great for fishing, sailing and picnicking. Or just taking in the miles of breath-taking coastline. Check out Zach’s Bay. Just southeast of Freeport off the Jones Beach theater. 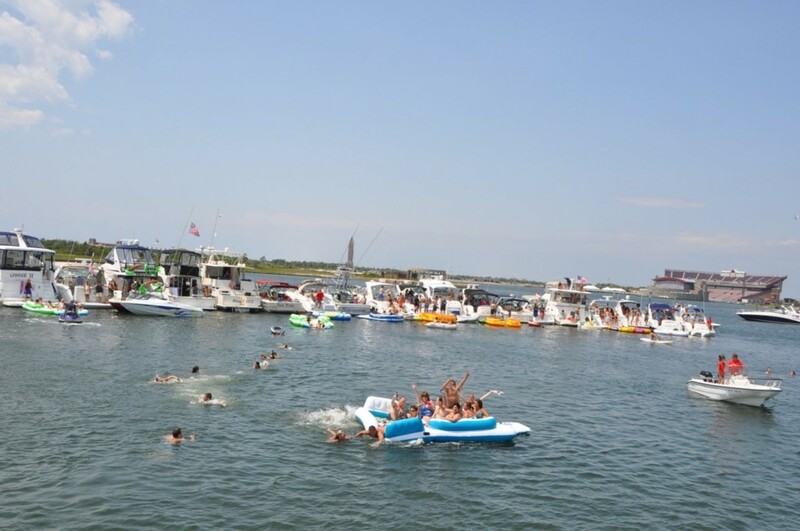 This is the place to anchor for families, raft ups, or even for a floating tailgate for one of the concerts playing at the Jones Beach Theater. Stretching over 300 miles, you could write a whole book on what to do on The Hudson...From the NYC skyline to the serene bluffs up north, the river has so much to offer. Get away from the city by heading north up toward Peekskill where the river is nearly 3 miles wide and teeming with wildlife. You’ll feel a world away. Or for a more happening experience, dock your boat at La Marina in Washington Heights for a drink and a bite. One of the only Dock & Dine spots in New York City! For the fishing types, the Hudson is home to largemouth and smallmouth bass around the tributary mouths and in-river structures (eg pilings, submerged logs) during the summer and fall. In the spring, fish for striped bass from anywhere below the Troy Dam to New York City. This haven for boaters and fishermen is one of the great on-the-water summertime playgrounds. The flat, calm, bay is over 150 square miles of sheltered bay between Long Island and Fire Island making it a perfect destination and the largest shallow salt water bay in New York. 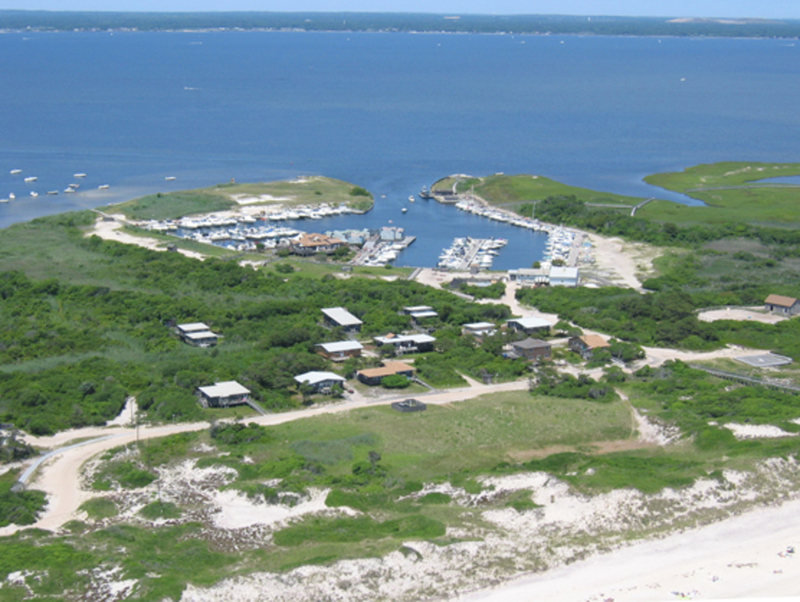 Cool things to do: Watch Hill (day slips and camping available), fishing, visit Fire Island’s Ocean Beach and Sailor Haven. Boating in Long Island at it’s best. The harbor here is well protected making it a great place for everything from anchoring for a day of picnicking and swimming to water skiing and wakeboarding. Not to mention the Historic North Shore of Long Island is one of the greatest sailing areas around. The coastline here offers, beaches, parks, historic mansions, a truly serene respite from the chaos of city life. Head over to Oyster Bay to gawk at the stunning waterfront estates, and the gorgeous sailing harbors. 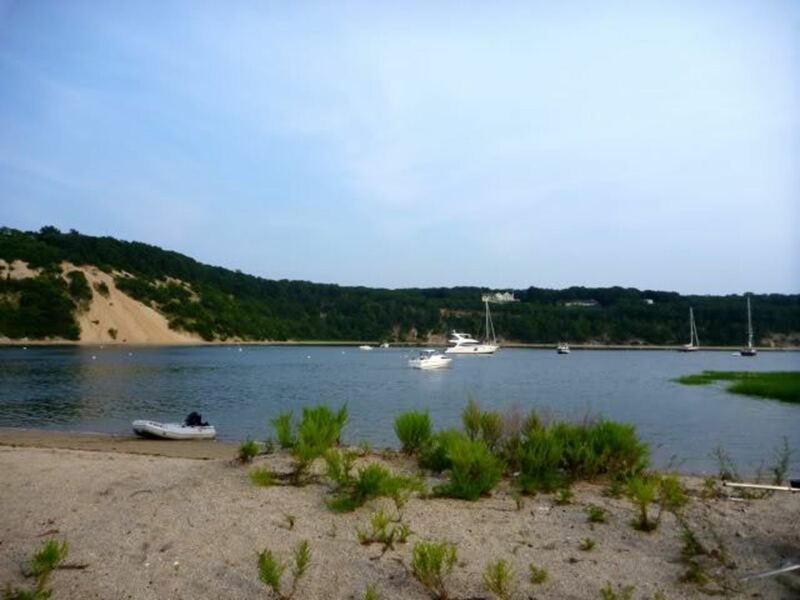 Or head up to Sand Hole, where you can hardly believe you're in Long Island, to spend the day by the sandy shoals and calm waters. Not ideal for boats with a deep draft; for sailors or other larger vessels looking for beautiful anchorage for the day try Eaton’s Neck Basin, just a few miles east near Huntington Bay. Obvious perhaps, but we’d be remiss if we didn’t include it. There’s not too much to say except boating by the Manhattan skyline should be on everyone’s bucket list. There are the obvious attractions, Governors Island, Liberty Island, Ellis Island, but that’s not the only reason to take to the seas off New York City. Seeing the city from this perspective isn’t something you’ll forget. One of our favorite ways to celebrate any occasion, not to mention 4th of July… this can’t be beat. 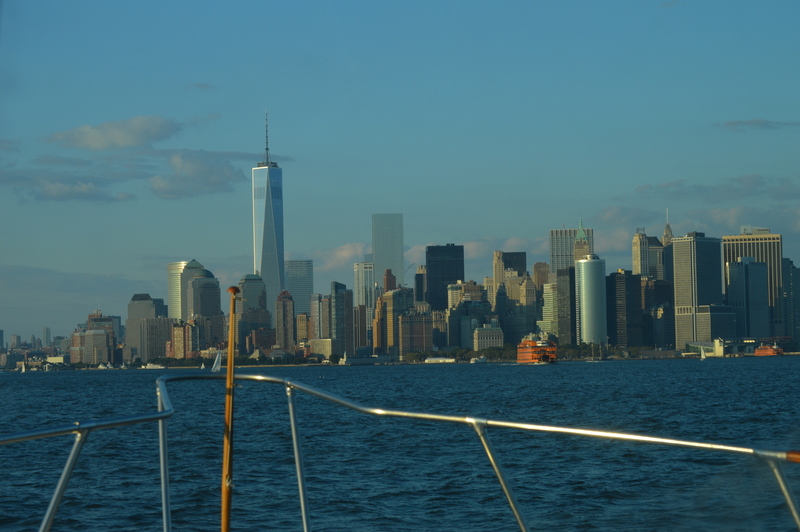 Manhattan Skyline on an 30' O'Day!